A firewall is a security system that uses a set of predetermined rules to analyze and control the traffic that comes in and goes out of your network. In simpler terms, it’s a gatekeeper that keeps malicious software and viruses out of your network in order to prevent data breaches. 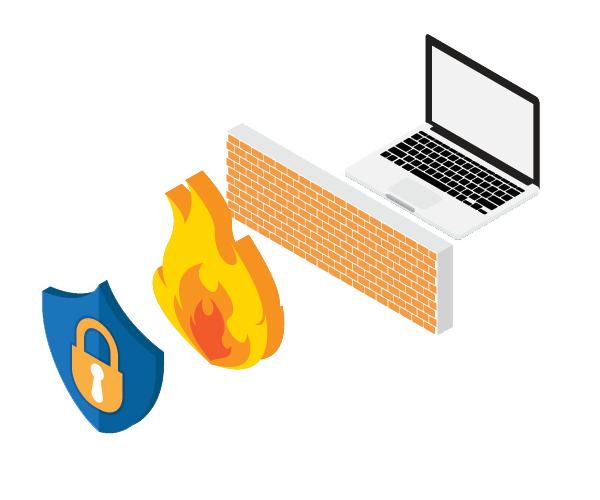 Do I Need a Firewall for my Business? Regardless of how your employees use technology at work, make no mistake – you need a firewall. Businesses should combine a hardware firewall with other cyber-security solutions, such as a spam filter and antivirus, to keep their network fully protected. A firewall acts as a barrier, or shield between your internal business network and the rest of the internet. Without a firewall, it is possible for external users to access your private business assets. This could be any confidential data depending on your business type – trade secrets, private customer data, or any other data you might have stored on your computers. If hackers access customer data, it’s expensive and embarrassing for the business, and can indeed be a business-ending event in extreme circumstances. Increasingly, regulatory bodies have no patience for lost customer data, and can impose very heavy fines on organizations found to be behaving irresponsibly with the data. Aside from fines – it’s just basic good practice to safeguard your customers data. In addition to stopping unauthorized external users from accessing your network, a firewall can stop your users from accessing specific external websites. For instance, you could set up a policy that blocks access to social media sites like Facebook from your network. Some strong firewalls will inspect the traffic going into and out of your network. They look for and block viruses, worms, spam, and other unwanted internet traffic. They will also log intrusion attempts as well as other violations to business policies. This enables you to examine unauthorized access attempts and other suspicious activity. Many of these strong firewalls will also let you maintain a list of known malicious applications and known good applications. They will block the malicious applications, while enabling the good ones. Ransomware and other malicious software is always a risk to the organizations IT infrastructure and can force costly repair or replace projects onto the business. Not every firewall is created equally. The firewall needs to be at the center of all security discussions, and yet its often ignored. Rather then ignore the firewall, however, the discussion should be around finding the best fit and practices for your individual business.